I know, I know – pumpkin spice everything is happening right now. You’re being assaulted with all things orange and round and cinnamon-infused. And a lot of you don’t feel the need for pumpkin-y things before there is an actual chill in the air and Halloween is near, or don’t feel the need for pumpkin-y things at all ever. I’m the girl who would drink pumpkin spiced coffee, eat pumpkin pancakes, and shower with pumpkin soaps year round if it were socially acceptable. So what’s a girl to do once the months ending in -ber (SeptemBER, OctoBER, etc) are upon us? Including crochet! You may remember THIS Pumpkin Spice Roundup post I did a couple of weeks ago, but after putting that post together I realized something that really ground my gears – I didn’t have a pumpkin-y crochet creation of my own! Blasphemy! So I had to rectify that little problem by whipping up a super simple, beginner friendly headband! This little cutie will keep your ears warm in the coming months and keep you looking cute too. 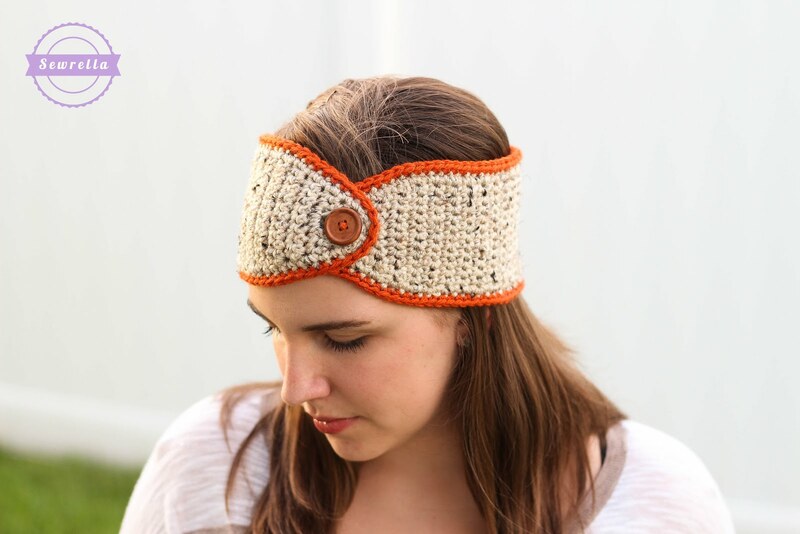 I chose a pumpkin-y color scheme for my headband (Oatmeal and Terracotta), but you could whip this headband up in any colors you like (mint and rose would have been my second choice)! 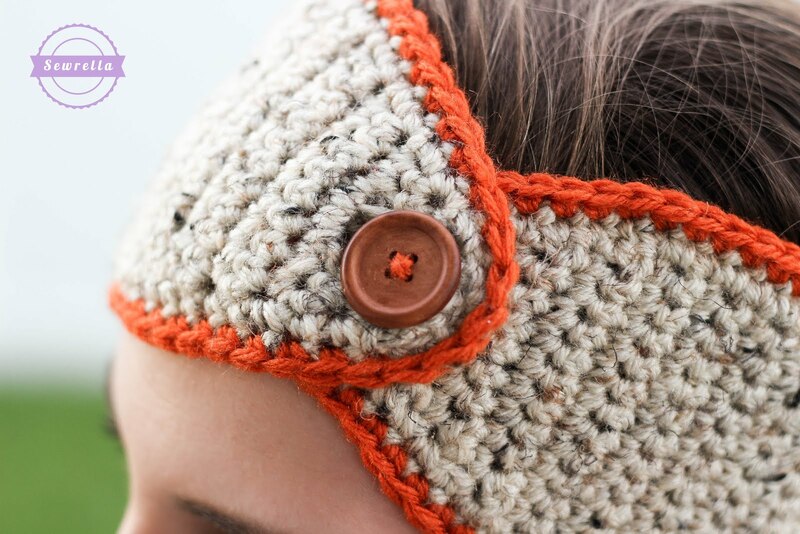 Go ahead and make this adult size headband easily in an hour or two – your ears will thank you! – Using an 8 in. 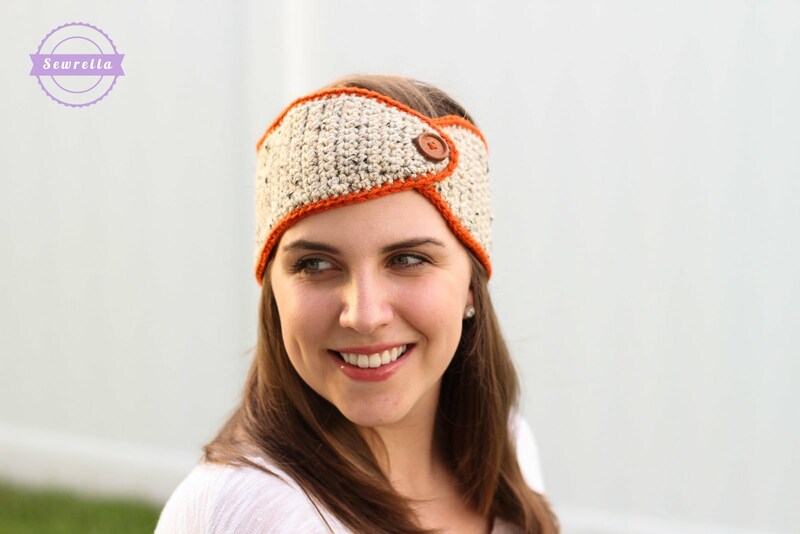 piece of Terracotta yarn and a tapestry needle, sew the button onto the center of Row 85, or wherever best fits your head. Hope you guys enjoy this cute and easy headband!